Could the writings of a little-know leftist from a rural American state help to reshape the political structure of the nation that emerges from the Syrian civil war? That could be the case if the Kurdish YPG— one of the most effective forces in the U.S.-backed struggle against Islamic State extremists— succeeds in its goal of carving out a self-governing entity in the areas it controls in northern Syria. For decades, autonomy-seeking Kurds in Syria and Turkey have been deeply influenced by the published works of Murray Bookchin, Marxist-inspired writer who advocated a radical form of grassroots democracy. Though his work has received scant attention in the U.S., Bookchin is so revered by Kurds in the Middle East that memorials were held across the region following his death in 2006. Bookchin’s self-described libertarian socialism is taught today in Kurdish classrooms and is indoctrinated into Kurdish recruits of the YPG. Bookchin, who lived and wrote in the state of Vermont, was deeply sympathetic to the Kurds and their sufferings under a series of authoritarian rulers in the Middle East. “I have a diary entry by him in 1991 in which he writes about feeling ‘tormented’ over ‘the massacre’ of the Iraqi Kurds by Saddam Hussein,” his daughter, Debbie Bookchin, told VOA, referring a chemical attack on Kurds in Halabja in 1988. “He was very disturbed that the Kurds were so callously and repeatedly betrayed,” she said. Bookchin’s doctrine, sometimes loosely referred to as “democratic confederalism” or the “democratic nation,” has become a banner for the 2 million Kurds in Syria who have long sought autonomy from Damascus. Born in New York in 1921, Bookchin was influenced by his sufferings during the Great Depression and dedicated his life to leftist causes. 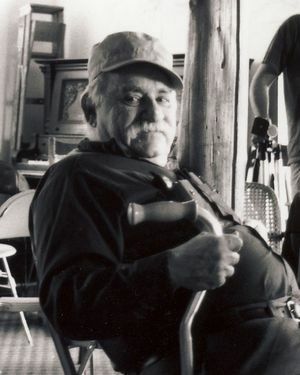 The son of Jewish immigrants from Russia, Bookchin joined the Young Communist League in New York in the 1930s and was influenced by the writings of socialist philosopher Karl Marx and communist theorist Vladimir Lenin. “He was a consistent anti-statist,” said Janet Biehl, Bookchin’s biographer, who was also his partner from 1988 until his death in 2006. “He thought that it was necessary for people to be empowered through decision-making at the grassroots level, the level of face-to-face democracy like ancient Athens,” she told VOA. Beginning in 2004, Bookchin began corresponding regularly with Abdullah Ocalan, the founder of Kurdistan Workers’ Party (PKK), which is considered a terrorist organization by Washington and Ankara. The PKK has battled Turkish forces decades and has engaged in deadly attacks in Turkey in its push for Kurdish autonomy. Lawyers for jailed Kurdish rebel leader made contact with Bookchin in 2004 and the two began corresponding. Ocalan had read Bookchin’s books while in prison and became captivated by the ideas of the American thinker. From then on, his writings were heavily influenced by Bookchin’s, prompting the PKK and other Kurdish parties to begin to incorporating Bookchin’s ideas into an already left-leaning ideology. Several months after Syria’s civil war broke out in 2011, Kurdish groups took control of an area in northern Syria where they had lived for decades under Syrian rule. The Kurds set up a local government through the Democratic Union Party (PYD), the political wing of YPG. The PYD is ideologically influenced by Ocalan and considered by Turkey to be a wing of the PKK. With the rise of Islamic State in 2014, the YPG emerged as one of the most effective forces against the extremists, drawing the backing of the U.S.-led coalition. Kurdish military gains, largely made with U.S. air support, allowed them to declare a federal system of governance in 2015 in northern Syria— largely modeled on the thoughts of Bookchin. Under a locally crafted constitution for the region, the powers of the central authority are strictly limited and the local population is assured of a voice in the decision-making process. The YPG has also embraced Bookchin’s ideology of promoting equality between men and women. The YPJ, an all-female unit of the YPG, has fought fiercely against the terror group. However human rights groups say the local Kurdish government has not always lived up to its high ideals. “Although it tries hard to market itself as a pioneer of a new movement in the region, the PYD has not been able to get rid of its oppressive Stalinist practices,” said Hosheng Ose, a Kurdish affairs analyst who writes for the pan-Arab daily al-Hayat. Other analysts agree that Bookchin’s vision for an environment-friendly society and benign democratic institutions has not been fully realized by the Kurds in Syria.